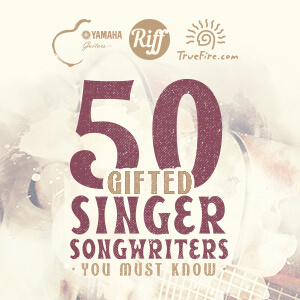 I didn’t get into writing music for advertising, documentaries and television until I was nearly 40. Up until then I’d done a typical freelance plate-spinning act involving teaching, performing, sideman and session work, plus some music journalism and authoring of how-to books, magazine articles and instructional videos. 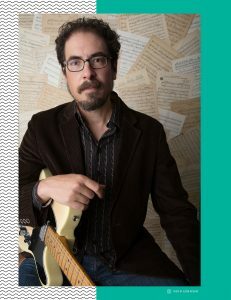 I got started in composing through a series of only-linear-in-retrospect circumstances: Digidesign, the parent company of Pro Tools, released the first Mbox, a generous engineer friend offered to teach me Pro Tools (and did), and a guitar student of mine who worked as a writer in advertising – and knew I was learning to record myself – gave me a shot at demoing my first jingle for one of his agency’s clients. I won the spot (a Krispy Kreme radio ad, if you really want to know), which was, as the kids in my neighborhood used to say, totally excellent. Once the dust settled (and the check cleared), I immediately set about invoking Dave’s “Rule Of Recurrence”, which goes: If you get away with it once, they’ll probably let you do it again. Of course, that only raised the question: Who are “they”? In other words: how do you find more work like that? Composers often use the catch-all phrase “music for picture” to describe writing music for advertising, film, or television – in short, anytime you’re marrying music to moving images. Dig that it’s “music for picture,” not “music for music’s sake.” Having spent time as a sideman and session musician for singer-songwriters, I tend to think of it this way: picture is the diva. If you’re writing music for moving images, your job is to make the picture look and feel amazing. Just like a hot session cat doesn’t play a million notes unless it’s right for the song, you only need the music that makes the picture work, and nothing more. Which means, essentially, it may be your music, but it’s not about you. If you’d rather front the band than groove in the shadows, music for picture might not be your bag. Writing music for picture is different from licensing your music. If you have a song that you’ve made a recordingof, and someone takes that existing work and finds a way to use it in a commercial or a film or a show, that’s a licensing situation: they’re taking your work as is. It’s still your song, they pay a fee to use it in a specific way for a specific project, and that’s that. Writing to picture means creating new music specifically tailored to the images, the mood and the situation at hand on the screen. On a film, it’s called scoring, despite the fact that licensed songs often make up a significant part of the overall soundtrack and that combination of scoring and songs can be referred to collectively as “the score.” Advertising people talk about “custom music” to mean music written specifically for the job, or scoring, as opposed to, once again, licensing an existing song, or using library music, which is (primarily) instrumental music written ahead of time by various composers and held in huge online collections ready to be licensed for a fraction of what it costs to put “Satisfaction” or a Black Keys song in a Target ad. Song licensing treats you, more or less, like an artist: you make what you make, the way you want to make it, and if they like it, they like it (and hopefully use it). 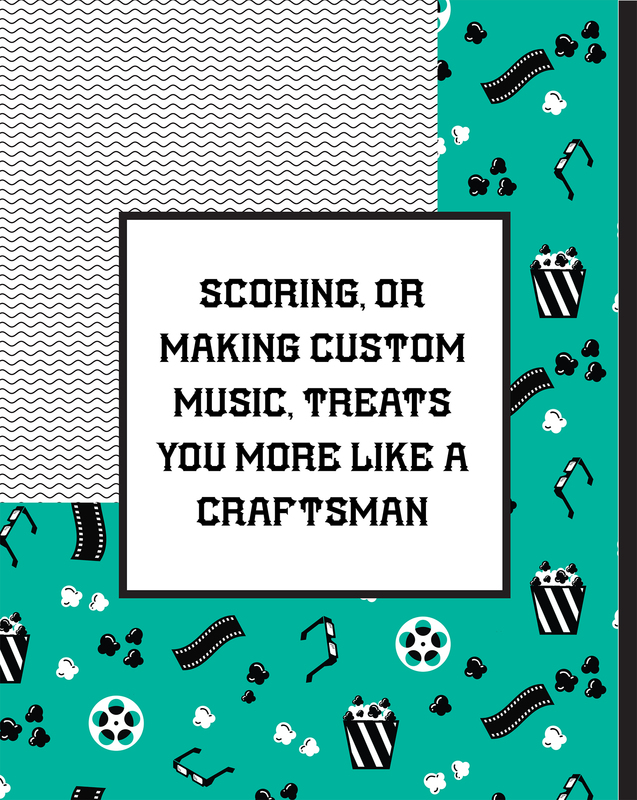 Scoring, or making custom music, treats you more like a craftsman: you have conversations about what your client wants, you go off and make some stuff, you come back and play it for everyone, people weigh in, ask for it bigger or softer or darker or more purple, and off you go and try again. You’re not done ‘till they like it, and whole tracks that took hours to produce can be vaporized in a line of email just because someone doesn’t get how cool your tremolo guitar part is (“We hate the version with the cheesy warbling sound”). And yet the craftsman role has a lot to offer. At its best, it has the potential to be much more collaborative. Deadlines teach you how to crank out work without moping around just because the Muse got stuck in traffic. 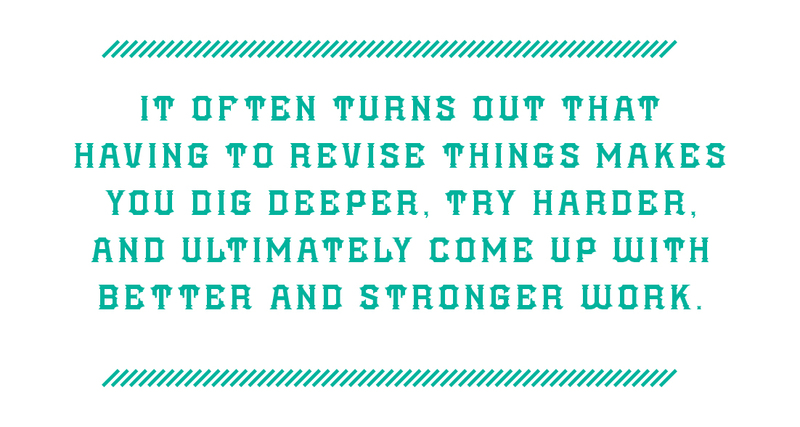 And, once you’re done bristling (privately, after the client has hung up the phone or left the studio) at having your music misunderstood (it happens), it often turns out that having to revise things makes you dig deeper, try harder, and ultimately come up with better and stronger work. Because just a few key people on any given job usually handle decisions about music for picture, you’re ultimately aiming to please a very small audience. “The client” might be one producer, a couple of creative directors, a webisode writer or some grouping of similar folks. Consequently, where the work comes from and who you’re delivering it to varies accordingly. Film scoring jobs might be initiated by a director (especially on smaller independent films). TV shows, particularly cable shows, are often produced and staffed up by a production company, which is creating the show and delivering the finished product to a network. 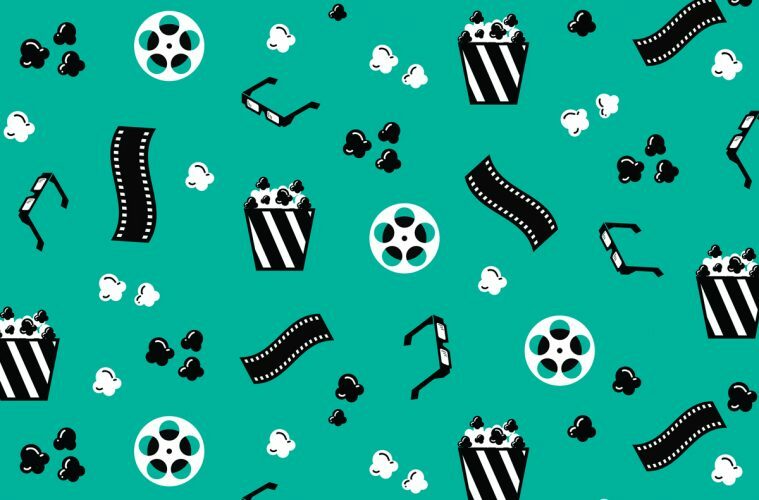 In this case, your client might be the showrunner, who keeps everything moving on the project, or someone in post-production, which is where all the pieces – picture, dialogue, sound effects, songs and/or score – are assembled and finalized. 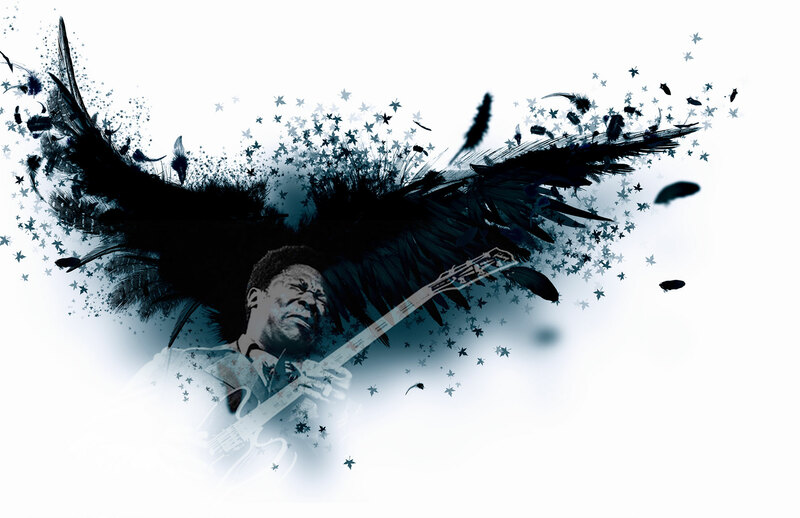 And because someone in post might want to make changes to your music on the fly, you’ll probably be asked to provide stems, or synchronized audio mixes of the various elements of your music – guitars, rhythm section, percussion, keyboards, strings, etc – to facilitate that. Finally, advertising jobs can happen a lot of different ways. With national brands, the client (KFC, Lexus, Dr. Boring’s Cardboard Squares) hires an agency, who then hires a music house to create the music for the ad. 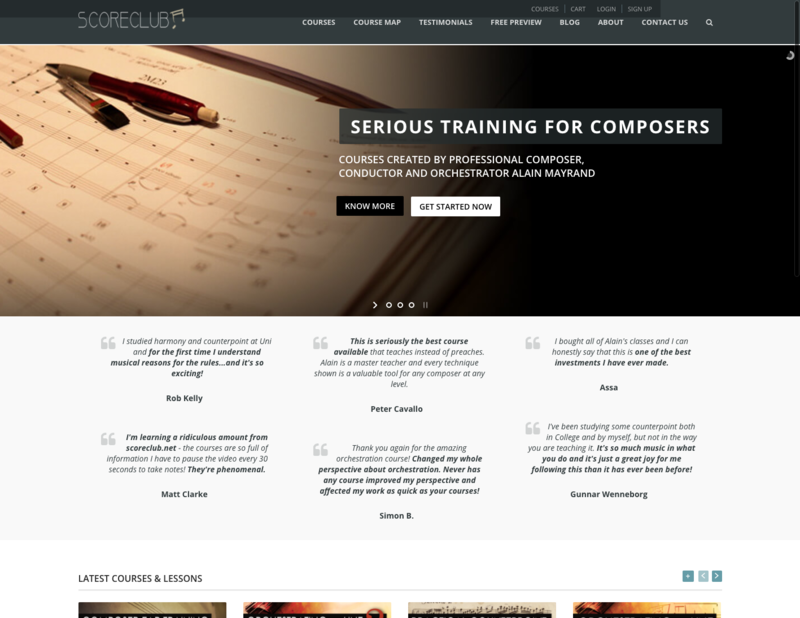 The music house probably has at least a composer or two on staff, but often also puts out the call to freelance composers to create and submit demos. The music house communicates the creative direction of the spot to the freelancers and funnels the results to the agency, delivering sometimes dozens of demos for consideration on a single spot. 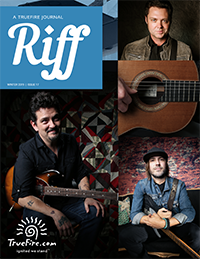 At the more regional or local level, an agency might have a more direct, personal connection with a composer and hire him or her directly for the gig. And in other cases, it might be a production company (who are the people actually shooting and editing the spot), which has responsibility for commissioning the music as part of their overall job. They might reach to a specific composer to create one or more tracks for consideration. When I was a kid, I read Tommy Tedesco’s “Studio Log” in Guitar Player every month, not because I had any idea what he was really talking about, but because he was a smartass, and because the way he described getting paid to be a guitar player sounded, well, totally excellent. What strikes me when I reread those columns now is Tedesco’s proud embrace of the 9-to-5, service-sector work ethic he and his colleagues made their living with on countless live film and television recording sessions, for decades on end. Most of the composers I know, and successful teachers, touring musicians and songwriters, for that matter, take similar pride in possessing the craftsmanship and discipline to make the work, satisfy the client and get it all done on time. Not surprisingly, in order to have work as a freelance composer, it takes the same kind of day-in, day-out hustle to make that happen. Hanging out, meeting people, finding ways to be around filmmakers, ad creatives, other composers and music house folks, staying in touch with the people you do meet. Of course none of it looks like work, but then to the outside world, neither does playing your guitar. Yet we all know: it’s called practicing, and it’s an essential part of getting where you want to go. 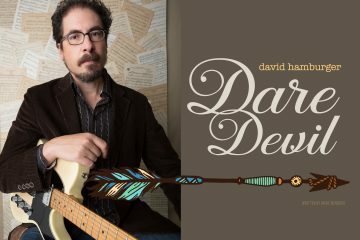 Writing music to picture isn’t ultimately any more mysterious than playing well or having other kinds of work, it just takes knowing the territory and honing your craft so that when you do land the gig, you know how to deliver. 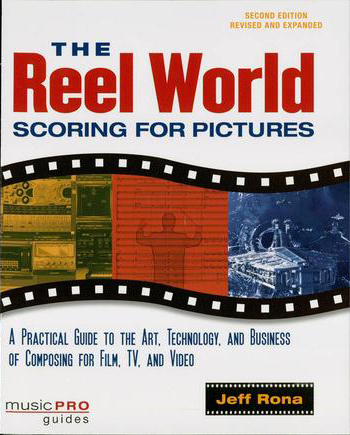 Rona, Jeff: The Reel World (2nd Edition) A great all-around text on television and film scoring. Rona walks you step-by-step through several of his own projects, showing you what it takes to prepare for and produce full-scale orchestral sessions, create electronic scores using custom samples, and meet the grueling schedule of scoring a weekly TV series. 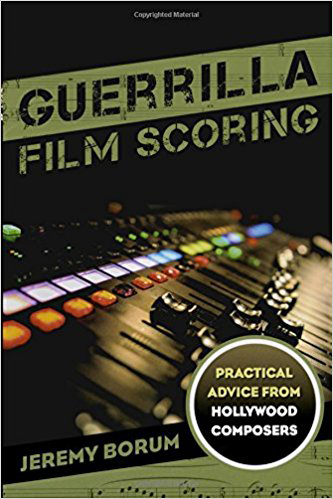 Borum, Jeremy: Guerrilla Film Scoring: Focused, as you might guess, on film scoring. Borum does a great job of clarifying the broad number of skills it takes to be a one-person scoring shop, while offering plenty of ideas on how to hone those skills, too. 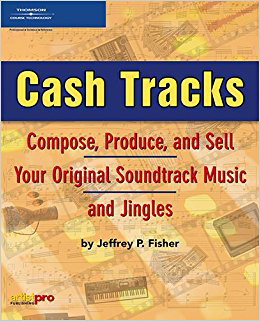 Fisher, Jeffrey: Cash Tracks. A thorough discussion about entry-level ways to find the people and places who might want your music, as well as the mechanics of running your own business. 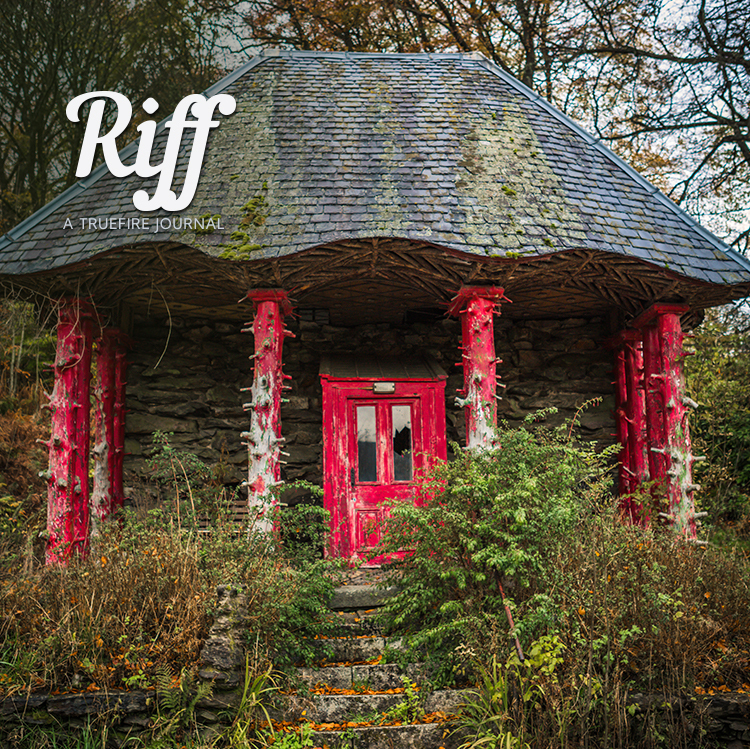 You don’t have to follow all of Fisher’s advice about how to set up your taxes or your home studio to still get a lot out of this book. 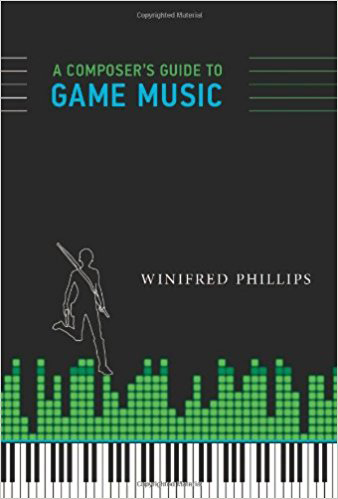 Phillips, Winifred: A Composer’s Guide To Game Music. Ok, so I haven’t read this one yet, but it’s on my list, because it’s gotten fabulous reviews, and I’ve got to enter the 21st century sometime. 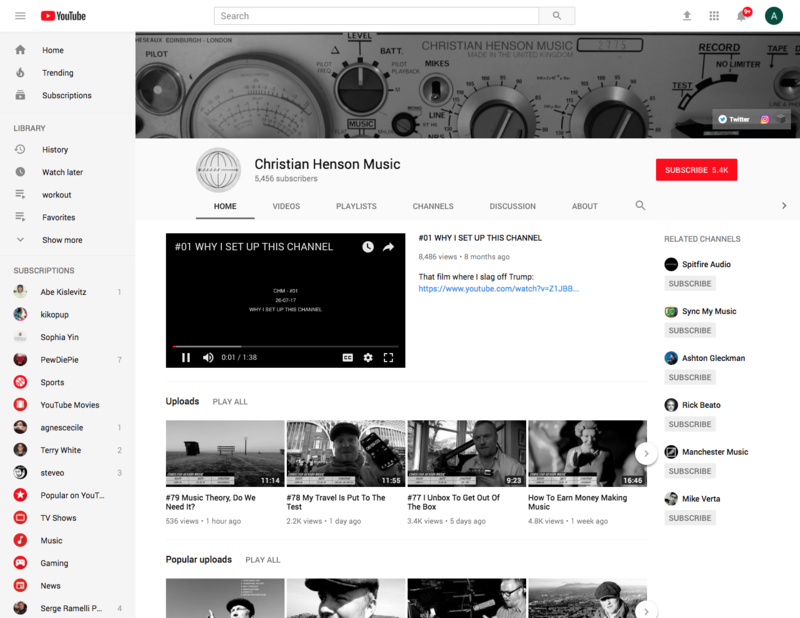 Henson, Christian: Christian Henson Music (vlog): https://www.youtube.com/channel/UCXCXxhRVYvBOX45_gxr0iHA Henson is a cofounder of Spitfire Audio, the British sample company, and his Youtube videos offer a wide-open, entertainingly opinionated window onto his life as a working composer for television and film. 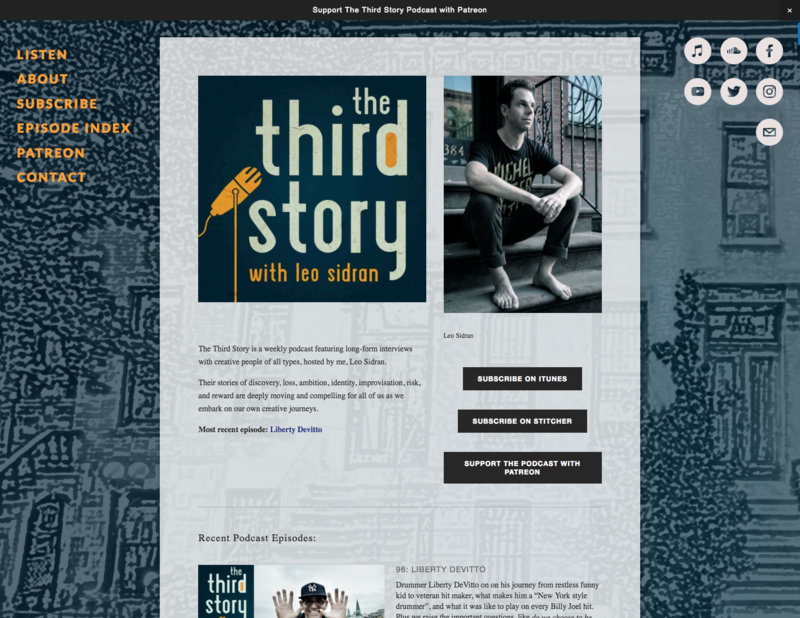 Sidran, Leo: The Third Story (podcast): http://www.third-story.com/ Do a search for Sidran’s 2017 series on music and advertising, which includes fascinating interviews with freelance composers, music house owners, session musicians and advertising creatives. Pressfield, Stephen: The War of Art. 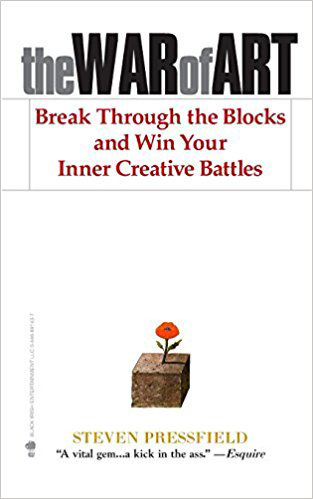 A short, bracing book on how to show up and do the work, whatever field you’re in.